The same algorithm used to find tunes in music retrieval systems has been successfully applied in identifying the signature whistles of dolphins, affording a new time-saving device for research into the world of dolphin communication. Bottlenose dolphins, in particular, recognize each other by name: the sound of each animal's "signature" whistle, which each dolphin develops at a young age. Bottlenose dolphins appear to show preference to the signature whistles of familiar individuals. Scientists have found that dolphins use the signature whistles to foster and maintain group cohesion. Until now, the classification of individual dolphin whistles has typically been done by examining a spectrograph, which visually represents the spectrum of frequencies found in a sound. But the method is time-consuming, requires more data than might be necessary, and is subject to human error. A study, published Oct. 23 in the journal PLOS ONE, describes a new method for identification that uses an algorithm based on what's called the Parsons code, which has been used extensively in computerized retrieval of tunes from music databases. Instead of looking at the precise variation in frequency, the Parsons code only considers whether at each point in time the pitch goes up, down, or stays the same. 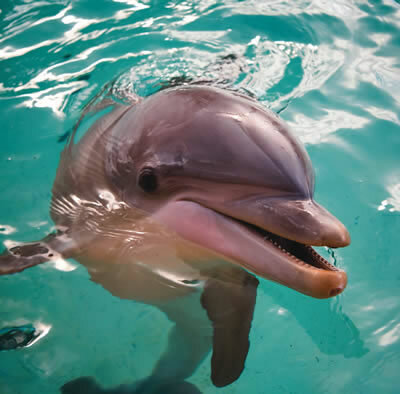 The researchers examined 400 signature whistles from 20 different dolphins. The new algorithm did well at assigning signature whistles to individual animals, helping scientists to classify the tested whistles quickly and efficiently, according to the study. 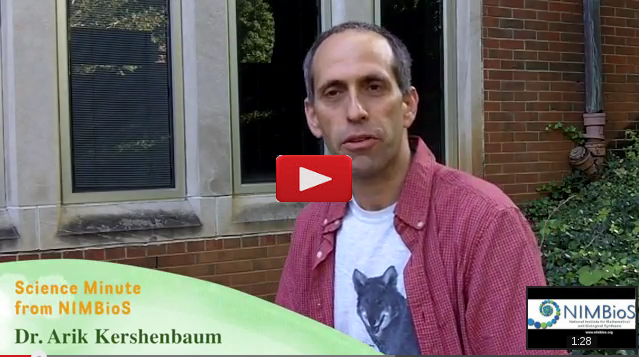 In this Science Minute from NIMBioS, Dr. Arik Kershenbaum explains the new technique that helps scientists distinguish different dolphin whistles. (1:28) Movie Credit: NIMBioS. 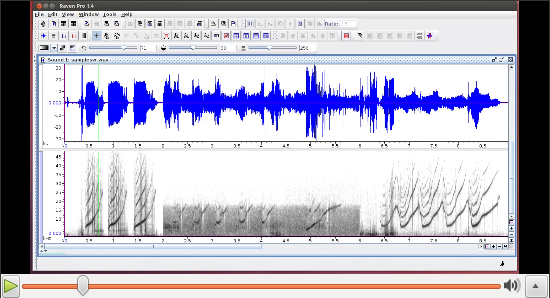 "The Parsons code is a robust way to compare dolphins' signature whistles because it is able to home in on the variation in frequency that actually matters. It discards the information that isn't useful for the analysis," said lead author Arik Kershenbaum, a postdoctoral fellow at the National Institute for Mathematical and Biological Synthesis. Being able to identify information in signature whistles is important for assessing the similarity of whistles and for studying how social behavior influences the development of these learned calls. "Cetacean vocalizations are highly varied and presumably serve varied functions. So determining what aspects of the vocalizations hold information is crucial to be able to classify them and to be able to understand their meaning," Kershenbaum said.